The all-new KaiVac 2750, the largest Kaivac No-Touch Cleaning system, boasts a 27-gallon (approximate) freshwater/solution capacity tank. This means the machine can clean longer and clean more area before it needs a dump-and-refill. And when you consider a dump-and-refill can take up to 15 minutes, you see what a time saver this is and how it boosts worker productivity. But that’s not all. It also comes with the longest spray line/vacuum hose in the industry, again, so more area can be cleaned faster and with less effort. For more information, contact Kaivac Global Head Quarters at www.kaivac.com, email info@kaivac.com, or call 513-887-4600. 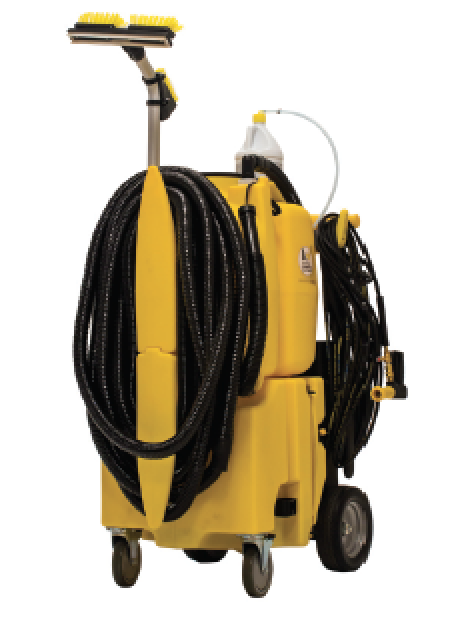 Kaivac is the developer of the No-Touch Cleaning® and OmniFlex™ Crossover Cleaning systems. Headquartered in Hamilton, Ohio, Kaivac, Inc. delivers complete science-based cleaning systems designed to produce healthy results and outcomes while raising the value of cleaning operations and the professionalism of the worker. Kaivac offers an integrated portfolio of environmentally friendly cleaning products designed to remove the maximum amount of soil and potentially harmful biopollutants in the most cost-effective manner possible. Copyright 2019 Walden-Mott Corporation All rights Reserved.